Following rapid consolidation among container shipping lines, significant rate increases have been seen in recent months and Drewry anticipates that the momentum of higher freight rates will remain as we move towards 2018. The trend of continuous rate decreases is reversing and the market is undergoing structural changes. 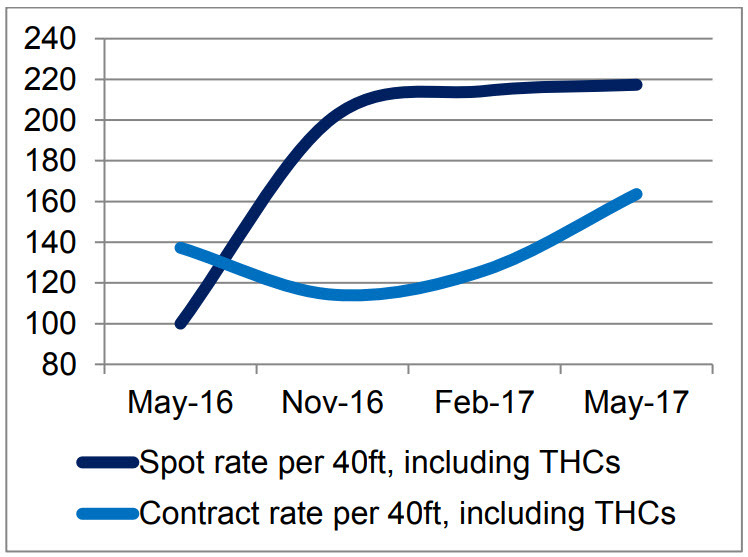 For European exporters to Asia, both spot rates and contract rates have increased since the beginning of 2017 (see chart). 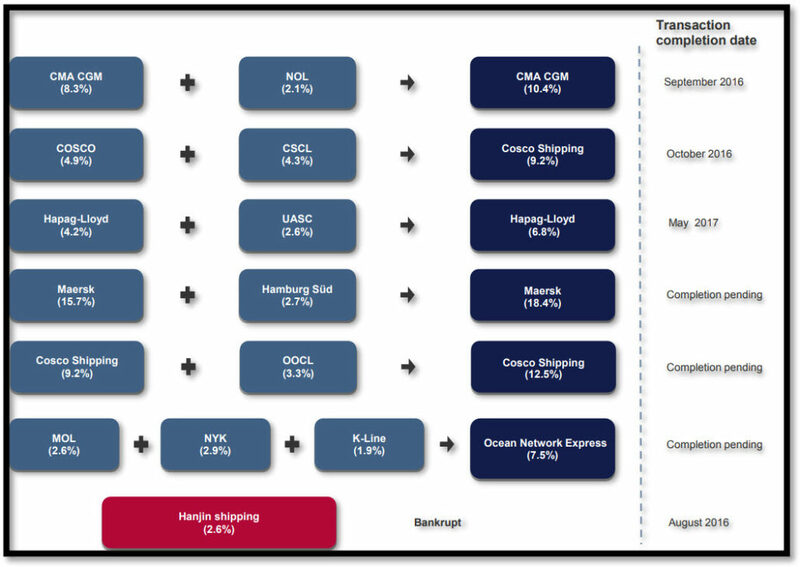 This coincided with higher European exports to China in particular, with some capacity reductions as most of the Asia-Europe shipping lines moved to the new mega-alliances (THE Alliance and Ocean Alliance) and with the reduction in the number of carriers on this route (post Hanjin bankruptcy). Looking at the short-term outlook for 2018 annual contracts and more widely at the medium term, shippers and forwarders must take into account the fact that, compared with 2 years ago, there will be 8 fewer independent major carriers bidding for tenders (see chart). Access to reliable shipper data on market rate levels and using advanced procurement tools with strong optimisation capabilities are two ways that shippers can secure the best terms in challenging market conditions. 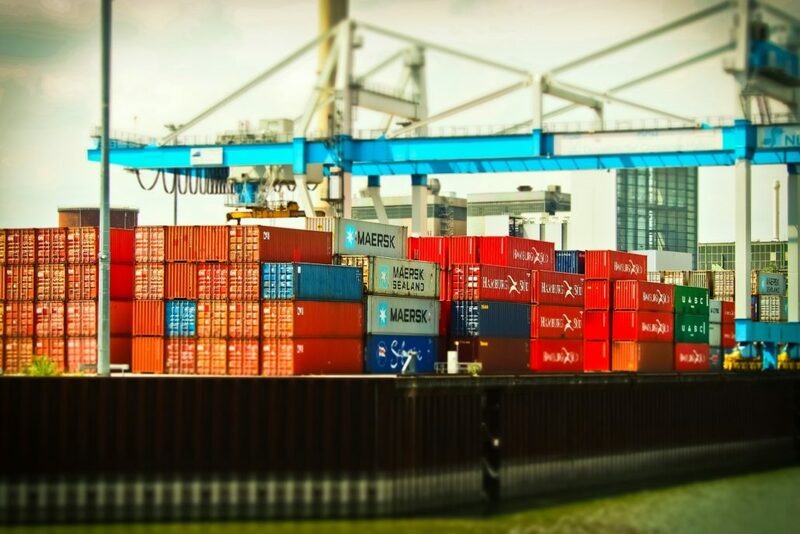 Drewry can provide support via a contract rate Benchmarking Club, a spot market rate platform (Container Freight Rate Insight) and also an advanced eSourcing Ocean Freight Solution. Drewry is a partner of the European Shippers’ Council and would welcome comments or suggestions on these articles.